BnB Tobacco – At BnB Tobacco shop you can find high quality tobacco and related products at wholesale prices. With our convenient online shop you can buy tobacco online at the best possible prices. From our clerks to our management, right down to our shipping department, we all know the customer is #1. So when you buy from BNB Tobacco, regardless if it’s handmade cigars, electronic cigarettes, or anything else, you can rest assured your purchase will end in your satisfaction! Whether you’re celebrating the birth of a new born baby, or enjoying the sunshine on your back patio, a quality cigar is good for any occasion. Did someone get a promotion or receive some good news? Having guests over for a dinner or cocktail party? Be the perfect host by offering cigars to your guests. Many famous celebrities smoke cigars, such as Arnold Schwarzenegger and President Bill Clinton. Michael Jordan and Babe Ruth even enjoy one once in a while. We can’t forget about women smoking cigars either—actresses, super models, CEOs, have extended cigars to the female gender. Find out what’s inside your cigar. Is it 100% tobacco, or are there other fillers? Premium cigars should contain high quality filler. Don’t buy a cigar that is damaged or has been tampered with. Water damage, moisture and heat can greatly affect the way a cigar smokes. A cigar’s “Ring Gauge” is a its diameter, measured in 64th of an inch. The fatter the cigar, the higher the number. 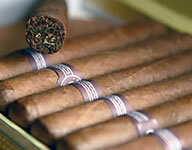 Cigars are made all over the world, including Central America, South America, Southeast Asia, Europe and the United States. Different regions often use different tobacco strands. A cigar’s wrapper (or outer layer) gives it much of its flavor. Some cigar sizes are referred to by name. For example, there is the “Presidente” cigar, which is eight inches long. Everyone loves wine and wine accessories. For some, it’s a bottle here and there, with focus on taste and flavor. For others, wine is collectible and used to impress guests and kick off dinner parties. Some health specialists will even tell you wine is good for you. We hope they’re right, because we have a huge selection of wine in this category. Consider giving wine accessories as well as wine. Wine enthusiasts will revel in a flashy decanter or aerator. Did you know that different kinds of wine have different glasses? Get the white wine lover in you life a set of crystal Chardonnay glasses, or a wine tasters set consisting of a variety of wine glasses. Corkscrews and wine toppers can be fun and practical Christmas gifts. Some are truly beautiful, made with blown glass or ceramics. Bring an extra one to your next holiday party and surprise the hostess. She’ll appreciate a stylish way to keep her wine fresh for longer. 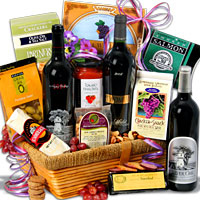 If you’re really looking for a gift that says “Wow!”, then give a wine basket. Let someone else figure out what to pair your wine with. At the click of a button you can have complimentary cheeses, crackers and meats to accompany your wine. These gourmet gift ideas are stellar. Pair the wine with food—Attending a party? Know what the hostess is serving? 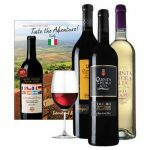 Buy a wine to accompany her main dish. 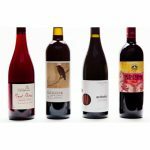 Most online wine shops have guides to walk you through food pairing, so that you end up with the exactly right wine. Stick to Your Budget—Wine can range from the few dollar range into the hundreds. Decide what you are willing to spend before you start shopping, then stick with your budget. There are many delicious, inexpensive wines, so you don’t have to break the bank. Shop both local and exotic—There are wine makers all over the United States. Search for wines made in your region, state or even city. Alternatively, look at imported wine. You can choose something from clear across the world or right from your own backyard. Learn about your choice—Once you’ve made your selection, be sure to write down or print some information about the wine so you sound like you know what you’re talking about. Learn where the wine was made, what year or “vintage”; it is and what its called. Doing this will take you gift idea to the next level. When all else fails, choose a pretty label—Wine can be a gamble. After all the reading and research, you may want to go with something that has bottle appeal. Don’t forget to wrap your gift! How do you wrap a wine bottle? It’s easy. 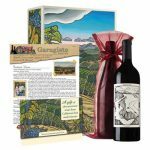 Get a wine bag or gift box designed for bottles, and you’re set. When you order wine online, check gift wrapping options to see if you can save money on wrapping services or materials.